For this Independence Day bike ride, I chose a destination which is both patriotic and outside of the city, as I tend to prefer on these long, holiday weekends. 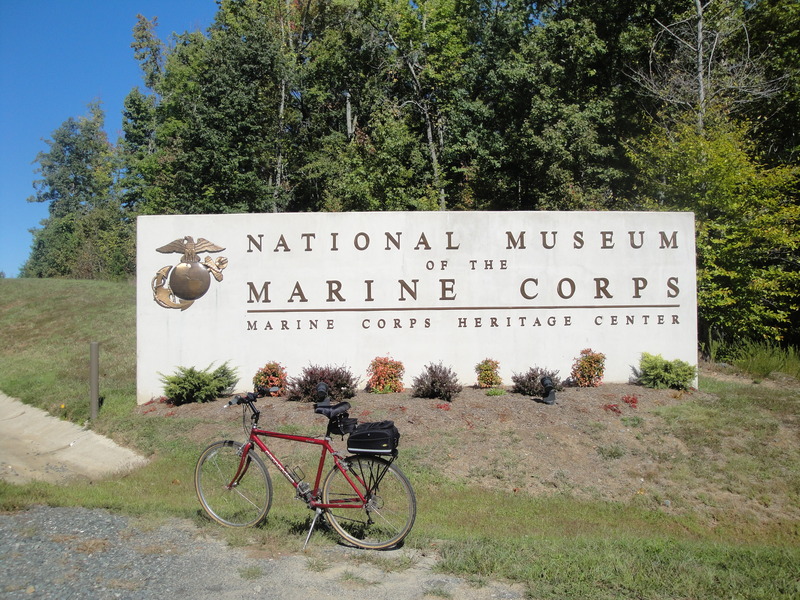 On this bike ride I stopped by the National Museum of the Marine Corps. 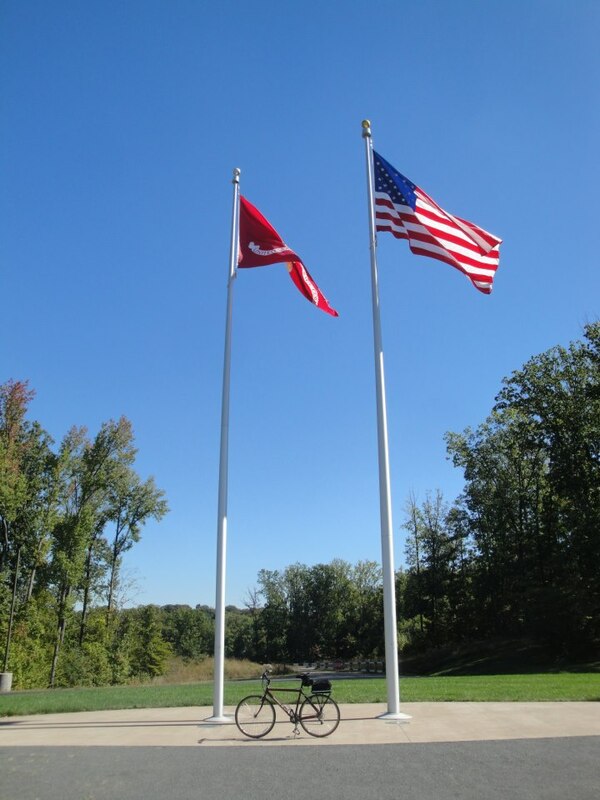 Located just over 30 miles south of D.C., at 18900 Jefferson Davis Highway (MAP) in Triangle, Virginia, the museum is situated on a 135-acre site a short distance away from the main entry gate to Marine Corps Base Quantico. 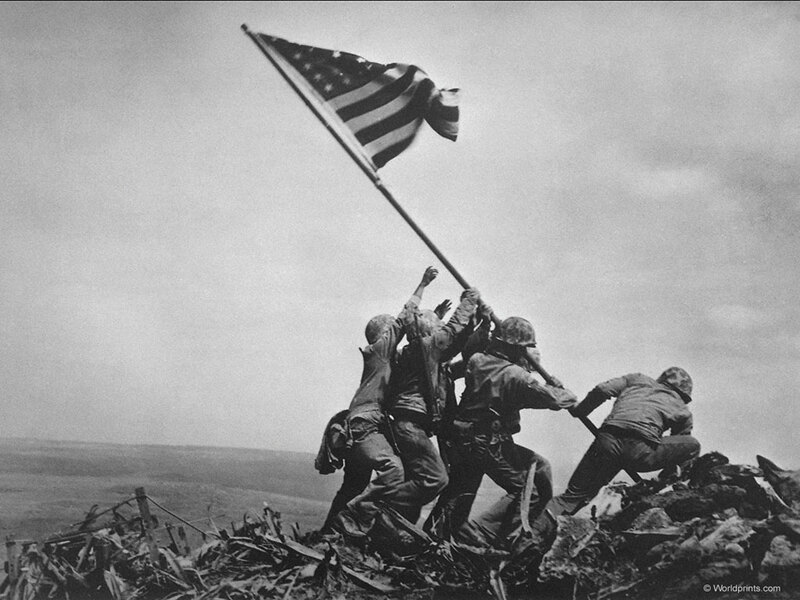 The museum is a cooperative effort between the United States Marine Corps and the Marine Corps Heritage Foundation. The Foundation manages the museum operation, while the building, which was purchased privately and then donated to the Marine Corps, is under the command of Marine Corps University. 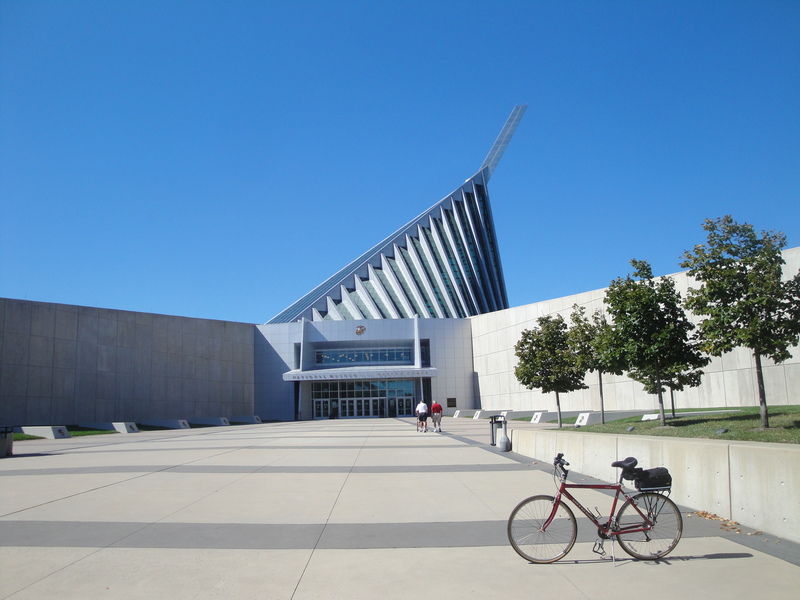 The museum opened on November 10, 2006, and replaces both the Marine Corps Air-Ground Museum in Quantico, Virginia, which closed in November of 2002, and the Marine Corps Historical Center in The Washington Navy Yard, which closed in July of 2005. One of the most unique aspects of the 120,000-square-foot museum, which was designed by Curtis W. Fentress of Fentress Architects, is that the design of the building evokes the image of the marines raising the flag over Mount Suribachi on the island of Iwo Jima, as famously depicted Joe Rosenthal’s Pulitzer prize-winning photograph and the iconic Marine Corps War Memorial. Inside the museum, visitors can see permanent exhibits on World Wars I and II, the Korean War, and the Vietnam War, as well as a number of collections which include more than 60,000 uniforms, weapons, vehicles, medals, flags, aircraft, works of art and other artifacts that trace the history of the Marine Corps from when it was founded in 1775 to the present. The museum also includes class rooms, a theater, a gift shop, a bar, a restaurant, and a laser shooting range. The museum, which draws over a half a million visitors a year and has become one of the top tourist attractions in the state of Virginia, is open every day except Christmas, and is free to the public. But if you are unable to ride a bike to or otherwise go to the museum in person, you can still experience the entire museum virtually from your computer or other streaming device. You can tour the exhibits virtually with high definition panoramas, zoom in on treasured artifacts, watch videos created specifically for the museum, and listen to docents recount Marine Corps history.